Virtually 100% of Mrs. Cole’s practice involves workers’ compensation matters. 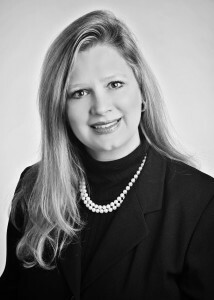 She represents insurance companies, Funds, corporations, and other businesses, both large and small, throughout Alabama in a variety of workers’ compensation related legal matters including consultations on preventative measures to alleviate on the job injuries and to counsel businesses on handling work-related claims prior to litigation. She has worked in both private practice and as in-house counsel dealing with litigation and regulatory compliance matters for companies that underwrite workers’ compensation and employers’ liability coverage. She is a frequent lecturer on varied workers’ compensation matters including specific legal issues as well as ethics, ethical billing practices, and cost saving measures for adjusters and employers. She also participates on the county and state level in matters involving law student and attorney ethics issues. Cumberland School of Law, Samford University Birmingham, Alabama, J.D.